LottoExposed.com Reports: UK National Lottery Launches New Game! 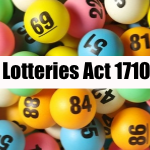 With the number of lotteries available both nationally and internationally, it is not surprising that many are getting a facelift. The new UK National Lottery game came online early October 2013. The format remains the same but they have added more prizes though with an increase in lottery ticket line prices. With a £15 million advertising campaign, they are going to great lengths at getting the news out there. The UK National Lottery has been around since 1994 providing an estimated £29 billion in prize payouts. Camelot out of the UK launched a £15 million campaign in September 2013 to beef up the numbers of players to the UK National Lottery. They adopted two taglines: “a new dawn” and “Game changing. Life changing”. The media campaign is a combination of showing that winning can change your life as well the game helps good causes. It includes radio, outdoor, digital and print ads. Part of the new publicity campaign is drawing on social media. 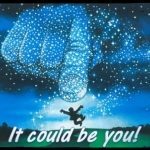 Camelot is hosting a YouTube competition for people to upload videos of themselves and/or friends and family singing the new Lotto song. The winner takes £20,000. The new lotto song is a takeoff on Gilbert O’Sulivan’s Ooh-Wakka-Doo-Wakka Day with 300 people singing going about their day to day routines. For people on Facebook, people can get together by liking with nine friends to join a social syndicate for the chance to win £20,000. The UK National Lottery also offers updates and information on Facebook including the latest on scams operating. 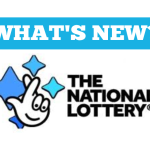 The changes in the National Lottery include the overall jackpot doubling, an increase to £25 (from £10) for correctly picking three numbers and a weekly raffle of £20,000 for 50 winners. One of the big arguments on the challenging odds of winning a big jackpot is lotteries don’t provide any guaranteed prizes. The UK National Lottery has done this with their 50 winners each draw. Though there are now guaranteed prizes and an increase in jackpots, the cost of ticket lines has also increased to £2 per ticket line. Since the UK National Lottery has been around since 1994 with no changes, this makes sense. The format remains the same with players choosing six numbers per line between 1 and 49. Players can also choose the ‘Quick Pic’ open where the computer randomly selects six numbers per ticket line. The game is played twice a week Wednesday and Saturday. To kick off this new face to the UK National Lottery, Camelot held two special draws on the on the 5th and 12th of October with an overall jackpot of £10 million and 1,000 raffle winners of £20,000. Along with the latest changes, the UK National Lottery has also announced they will be running a new television game show called 49 to 1. This was launched on the same day as the new prize format on the 5th of October. The second game was played on the following Saturday. Players won prizes of £10,000, £20,000 and £50,000 based on a combination of assigned numbers. Registered players are randomly picked to be part of the special draws to be held. The changes make the UK National Lottery more interesting especially the guaranteed wins. The TV game show also adds an interesting element. The only way to win is to play!